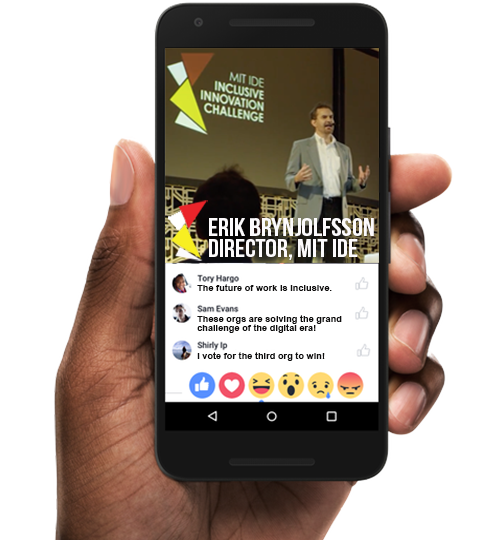 Join us at the North American MIT Inclusive Innovation Challenge (IIC) celebration on September 27 via live-stream! The North America Challenge will be hosted in Detroit on Thursday, September 27, by the Ralph C. Wilson, Jr. Foundation. Local attendees will hear from 12 finalists that are using technology to improve economic opportunity for low- and moderate-income earners. The finalists are competing for $120,000 and hope to be chosen one of four regional winners named on Thursday. The four then join 16 other regional winners from around the world for the IIC Global Grand Prize Gala on November 8, where $1 million will be awarded. During the event, North American finalists will describe their efforts to a 12-member Selection Panel, as well as a local audience of 300-plus members of the economic growth, education, and entrepreneurship community. The Panel will announce which four of these innovators will win $20,000 each and will progress to the November 8 Gala. The eight remaining finalists will each win $5,000. A full list of the North American finalists can be found here. On November 8, the IIC Global Grand Prize Gala will be hosted at MIT in Cambridge, MA, in conjunction with a two-day Future of Work Congress. One million dollars in prize money will be awarded to four Global Grand Prize Winners selected from Regional IIC Winners from Asia, Africa, Europe, and Latin America, as well as North America.